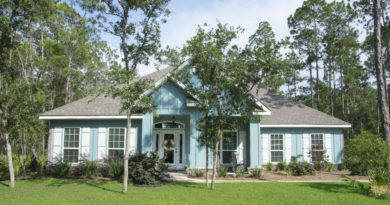 Explore all homes for sale in Audubon Point, a development being built by Emerald Homes. 69 Melrose Ave, located in Pt Washington’s Audubon Point, was listed at $399,000 and contracted to sell at $395,000. 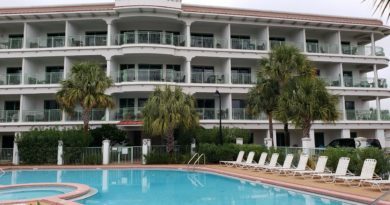 With the appraisal coming in low, the property finally sold at $385,000, with financing provided by First Florida Bank. Nestled near the pool in Audubon Point, 69 Melrose Ave is 3 bedroom home with landscaped, fenced back yard, filled with luxury features including 10ft ceilings, first floor master bedroom, custom closets and pantry, built-in stainless ovens, cooktop with commercial grade vent hood, high-efficiency front load washer and dryer, designer lighting, granite counters, security system, irrigation system, garage and more! Enjoy a true coastal feel with a durable metal roof and architectural gutters, a screened porch that overlooks a beautiful landscaped yard with brick patio, and the privacy provided from the adjoining conservation land! This highly sought after model with first floor master suite is rarely available. 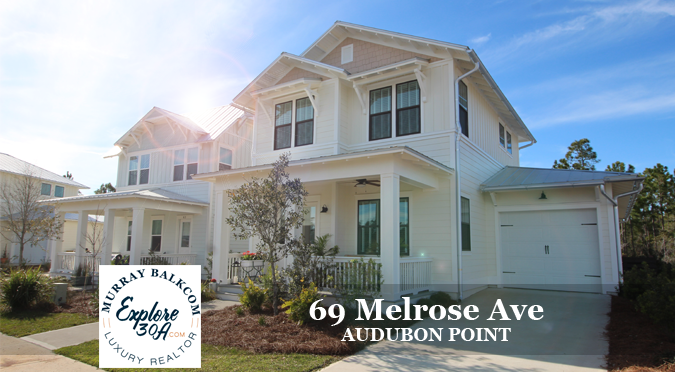 Audubon Point is found just a few miles north of Seaside, FL, close to Eden Gardens State Park. Launch your boat or kayak to explore the Choctawhatchee Bay, next to Eden Gardens. This is one of the few neighborhoods in Pt Washington which features a community swimming pool. Other area features include the Pt Washington State Forest which has many miles of walking and biking trails which connect you with the beautiful nature which surrounds this area. Audubon Point is about equal distance to Destin Commons and Pier Park. Escape the crowds of 30A and discover why the locals love Point Washington. Schedule your personal tour with Luxury Relator, Murray Balkcom, today. If you need assistance with financing, contact Kav Tucker with Walton Funding.